For National Football Authority, we break down the Giants’ 27-24 win over the Buffalo Bills. 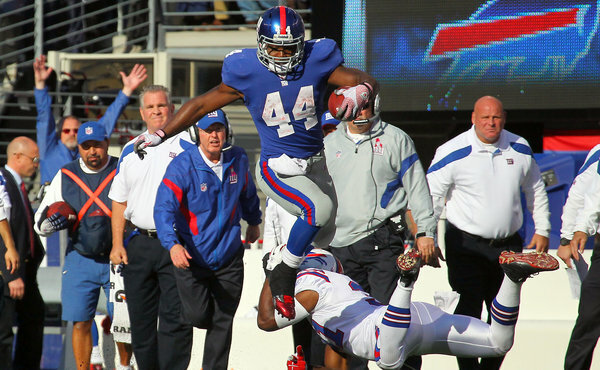 We discuss how RB Ahmad Bradshaw and CB Corey Webster carried the Giants, how QB Eli Manning avoided mistakes, and how WR Hakeem Nicks beat Bills CB Drayton Florence like a drum, among other things. Click here to read all about it. As the lockout drags on, we’re finding out more and more veteran players are moving on with their lives instead of waiting for a new NFL season. Last week’s example was QB Kerry Collins, who ended his career after 16 years. Below are some thoughts on Collins’ time in the NFL; we compare his impact to that of other retired players in this accumulated post. When I was in college back in the mid-90s, my summer job was working for the Spartanburg Herald-Journal, and the biggest perk of that gig was covering Carolina Panthers training camp each year. So I got to see Collins’ career from the very beginning. Collins’ career with the Panthers started with promise, as he led the team to the NFC championship game in his second season. 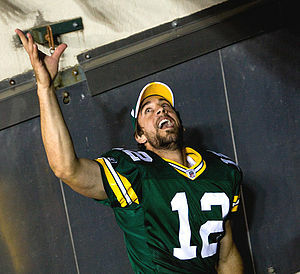 (Then living in Chicago, I went to Green Bay to cover that Packers/Panthers game and wrote a story about whether Collins was on the verge of becoming a great QB.) But then it all fell apart for Collins in Carolina. He got in a racially-charged fight with a teammate, and then asked out of the lineup, leading to his release. But to Collins’ great credit, he did not let the fact that he busted out of Charlotte make him a bust. He got a second chance with the Giants and led that team to the Super Bowl (where they lost to the Ravens). And after the Giants drafted Eli Manning, Collins had a couple of decent seasons in Oakland and then became a starter in Tennessee, making his second Pro Bowl in 2008 in leading the Titans to the playoffs. Collins’ 16-year career has left him high up the lists of all-time passers, which speaks to his longevity and his productivity. 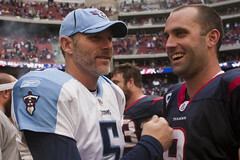 The fact that several teams – the Titans and Panthers included – viewed him as a worthy backup/mentor for young QBs in 2011 speaks to how he completely changed his legacy over the course of his career. He’s not a Hall of Famer, but he had a fine career after nearly losing everything just a few years in.